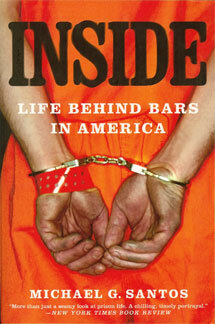 The negative influences that exist within the prison system are well documented. In the Second Chance Act, Congress published findings showing that seven of every 10 prisoners recidivate upon release. My thoughts have always been that the three prisoners of every 10 who succeed upon release adjust to prison differently from the seven who fail. Those prisoners who choose to succeed find mentors to guide them. Danielle Rios asked whether I encountered any mentors whom I learned from as a federal prisoner. I feel thankful to have learned from many. Some of my mentors were men I had met in prison, some were leaders in society who became friends of mine while I served time, and many mentors were men whom I read about, but never met. Although I did not follow the adjustment patterns that were normal within the prison culture, by observing the men around me I was able to commit to a strategy for growth that worked for me. It required that I spend a lot of time alone. I developed a habit of sleeping very early and waking very early. The focus, for me, has always been on preparations I could make that would help me emerge from prison successfully. Because I concentrated on the world outside, and the contributions I wanted to make to it, my most influential mentors were either men whom I read about, or academics who worked tirelessly to educate me. One of the first mentors to me was Socrates. I was in the county jail when I read the story of his attitude toward the sanction of death that judges imposed upon him. The Autobiography of Malcom X was a book I read early in my confinement, and it helped me realize that I could grow through adversity. I read the work of Viktor Frankl and other accounts of prisoners who endured the harsh conditions of Nazi concentration camps. Those people’s adjustment patterns inspired me, and they too were like mentors to me. Nelson Mandela, of course, was a long-term prisoner who made great contributions to the advancement of civilization despite the decades he served in prison. The same went for Aleksander Solzhenitsyn. Those leaders have been my mentors, even though I never met them. As a prisoner, I frequently lead classes through which I share what I have learned. In many cases, I work with individuals to help them understand options they may pursue. I feel convinced that a successful prison adjustment requires a deliberate plan and a personal commitment. I recently finished reading a wonderful book by Tony Dungy that advises individuals on steps they may take to lead lives of significance. succeeding in prison requires an individual to lead an uncommon adjustment; I do my best to mentor others around me and to lead by example. Upon my release I expect to build a career that will allow me to share what I’ve learned through my long journey of imprisonment. There have been many lessons that I believe may contribute to the lives of others. The strategies to which I committed may be of value to people who struggle through adversity in their own lives.